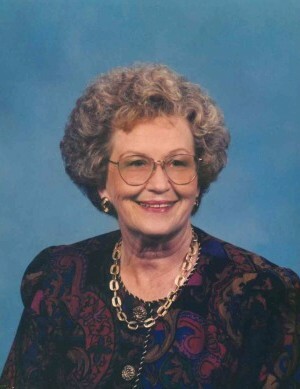 Barbara McNeil Wiedemann (85) died November 20, 2018. Born in Lenior, NC, January 20, 1933, she was the daughter of late Patrick H. McNeil and Louise Greer McNeil. She was a graduate of Lenior High School, Class of 1951. She was predeceased by her husband, Lloyd Manning Wiedemann and grandson, Michael Ross Wiedemann. She had been employed by the South Carolina Insurance Department and the Federal Land Bank in the 1960’s and 1980’s. A long time member of Washington Street United Methodist Church, Columbia, SC, and joined Ashland United Methodist Church, Columbia, SC, and was a member of the Thursday Morning Prayer Group. She enjoyed baking as a hobby. She was known for her delicious pound cakes and blueberry marmalade. She also enjoyed giving pecans from her pecan trees to her family and friends. She was also an avid Clemson football fan and never missed watching a game. She moved to Murrells Inlet, SC, in 2016 to be near her daughter, Nancy. She enjoyed going to Church at Inlet Oaks Village. She was loved by many in the community as everyone called her “Momma”. Surviving are her son, Edward L. Wiedemann (Elaine), Greenwood, SC; a daughter, Nancy Wiedemann, Murrells Inlet, SC; grandson, John Wiedemann (Ashleigh) Charleston, SC; granddaughter, Emily Ensor (Duane), Greenville, SC; one sister, Mary Frances Wesig, Akron, Ohio; great granddaughter, Townes Ensor; and great grandson Wiedemann, due in December. A Visitation will be held on November 29 at 1pm with a Memorial Service to follow at 2pm at Inlet Oaks Village. 180 Burr Circle in Murrells Inlet. Burial will be held on January 20 2019 at 3pm in Bush River Gardens in Columbia.